It's time for another board game! The rules of the game are very simple. The board is a 6x6 grid. You start at the outside of the grid, and on your turn you choose a tile from your hand to place on the grid in front of your piece. Your piece then travels along the path in front of it until it reaches the end. If the path leads you off the board, then you're eliminated. The goal is to be the last piece remaining on the board. The game is for two to eight players. If you want to play, just say you want to join, and name your favorite Mario character (that hasn't already been named in the thread). As soon as we have enough players, I'll post detailed rules and get the game started. The game can go by pretty quickly, so I'll be hosting multiple rounds. ugh, I hate this game. Let me see if Squeege wants to play. I'll wait a little longer before starting the game. In the meantime, here are the rules. Tsuro is a board game for two to eight players. 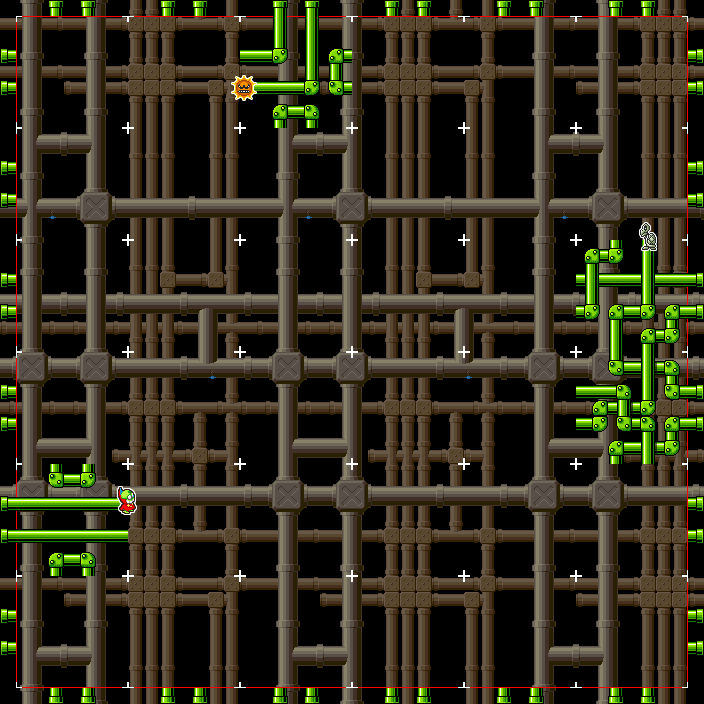 Players place tiles on the board to build paths that begin at the edge of the board and travel around the interior. The object of the game is to keep your path from connecting to an edge of the game board. Outlast all other players to win. I guess you could call this... Tsuper Mario Bros. Or Super Tsurio Bros. Or Super Mario Tsuros. 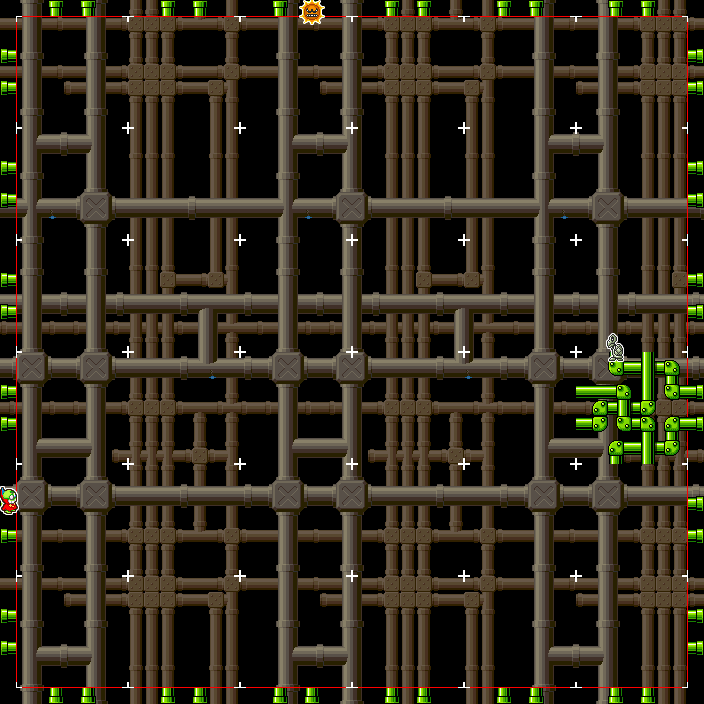 The board is a 6x6 grid, with 36 spaces total. 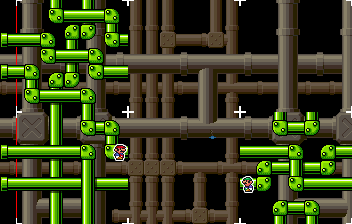 Players begin the game at one of the 48 pipes at the edge of the grid. 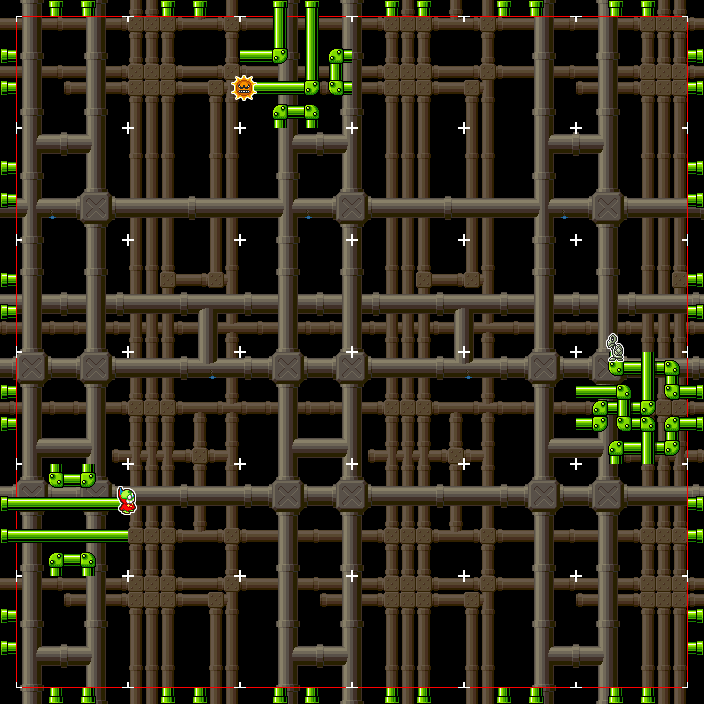 As stated before, the goal is to outlast all other players in remaining within the grid. 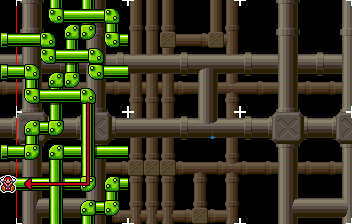 Each tile shows four pipes, or paths, that create eight points on the tile's edge. 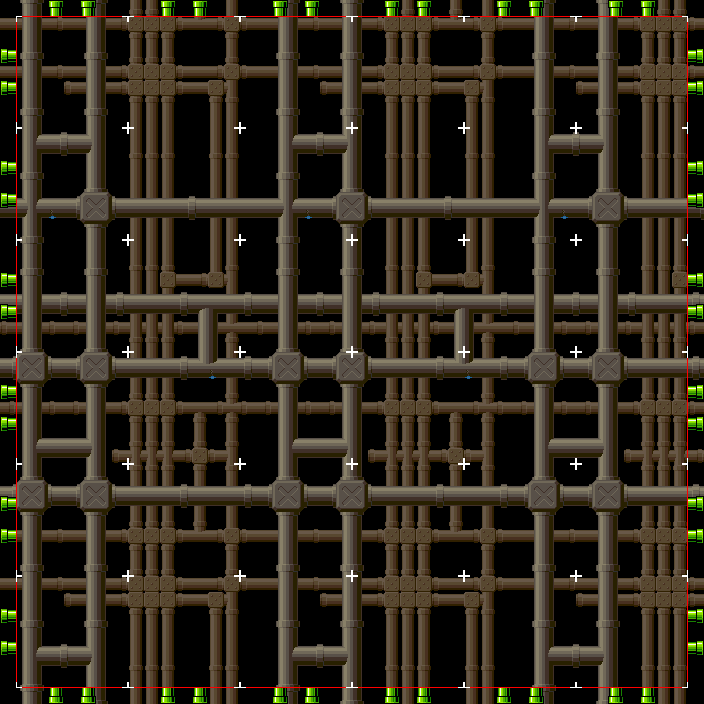 When the tiles are laid alongside each other, these points line up and the paths continue. 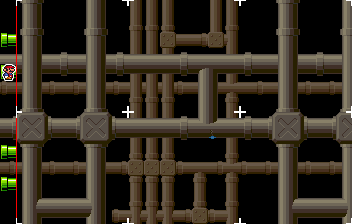 Each tile is unique. 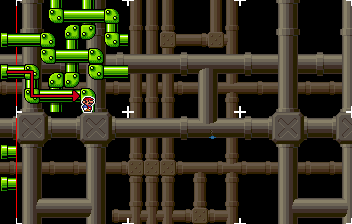 For example, the paths on this tile connect only the two points marked A, the two points marked B, and so on. Each player is assigned a hand composed of three tiles, which I will send via PM. Upon placing a tile on the board, you will be given a new tile drawn randomly from the deck, keeping your hand at three tiles. The only exception will be if there are no tiles remaining in the deck to draw. If a player is eliminated, their hand will be shuffled back into the deck. Your three tiles will be assigned a letter, and will also have numbers designating each possible rotation (either one, two, or four). Say it's your turn. If you wanted to use the first of the two rotations of tile A in your hand, you'd simply post "A1" in the thread. If you wanted to use the second rotation from the right for tile B, you'd post "B3". And if you wanted to use tile C (which only has one rotation), you'd just post "C". The tile you play is placed directly in front of your marker. 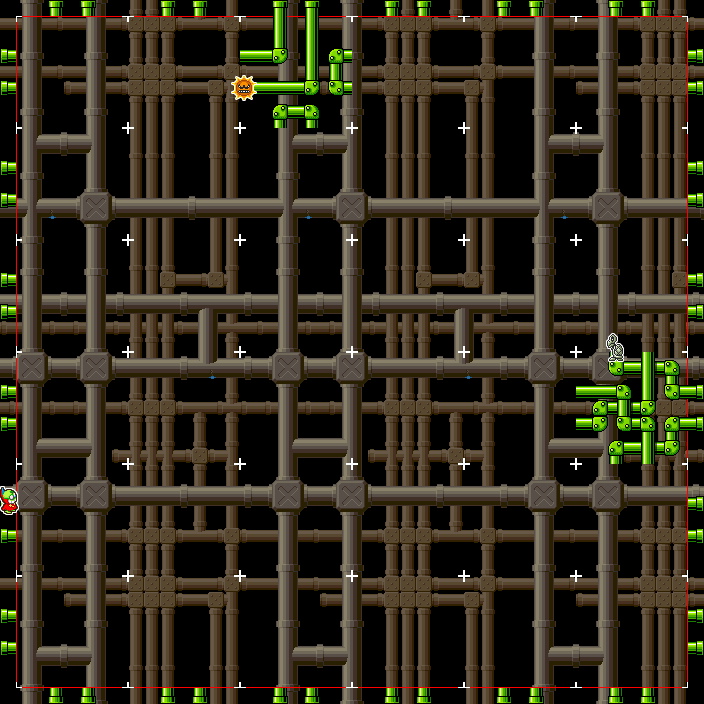 Once the tile is placed, your marker immediately moves to the open end of the path it's on. ...then you're eliminated from the game. ...both Mario and Luigi would move like so. If you're clever (and lucky), you can use this to send your opponents off the grid, thus eliminating them. The paths on the board can get complicated very quickly, so be sure to take a good look at the board before deciding which tile to place. 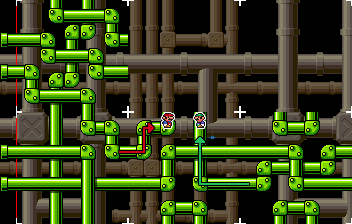 Note that if two markers end up getting connected to the same path and crash into each other, both players are then eliminated from the game. 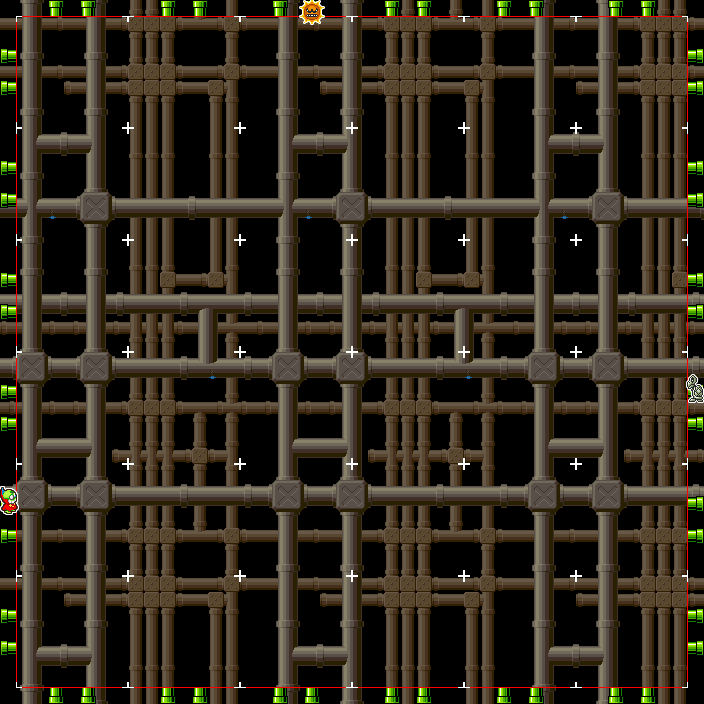 Post in the thread which tile you want to place. The tile is placed and the markers are moved. You receive a new tile. Your turn ends, and the next player's turn begins. For the sake of keeping things moving, you will be given 24 hours from the start of your turn to post your action in the thread. If you fail to post before those 24 hours are up, I will randomly select a tile from your hand and use it for you. ADDENDUM: I'll try my best to update this thread as often as I can, but in the interest of keeping things moving, if the player before you has taken their turn but I haven't updated the thread yet, you can still post your action if you'd like to. This will work best while the board is mostly empty, but as the game progresses and the board starts to fill up, it may be safer to wait for me to update before deciding what to do. Them's the rules. The game may seem complex, but it's really not that bad, especially once you start playing. Feel free to ask me any questions you may have. There's still room for more players. Anyone else want to join this first round? Val I can tell you put a lot of effort into this, and it looks awesome. I love the tile cards. Val, I don’t want to play but I wanted to stop in and say how amazing this looks. When you first told me about it, I didn’t know how you’d pull this off, but you did amazing work!!! Thanks, you two. I always have fun hosting games like this, and plus it's given me something to work on when giving my hand a rest from drawing. Yeah, this looks amazing! I wish I actually liked this game. I'll play as Angry Sun. One thing I'd like to add before the game begins: I'll try my best to update this thread as often as I can, but in the interest of keeping things moving, if the player before you has taken their turn but I haven't updated the thread yet, you can still post your action if you'd like to. This will work best while the board is mostly empty, but as the game progresses and the board starts to fill up, it may be safer to wait for me to update before deciding what to do. That's that. Onto the game! By the way, if I ever make any kind of mistake (like placing the wrong tile, for example), just kindly, but also firmly and angrily, let me know.